Is a nutcracker assortment of one green and one red nutcracker. 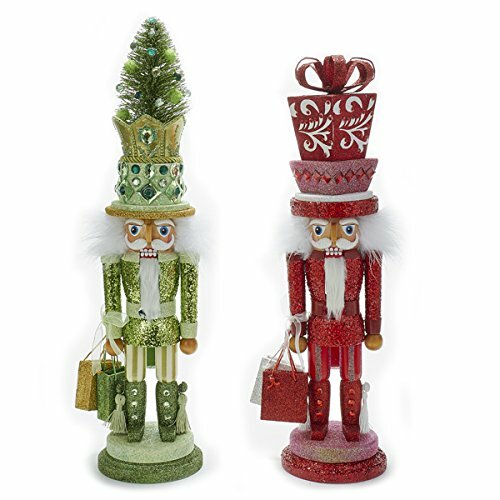 In these nutcrackers, the green one has a Christmas tree on its hat and a present on the red hat. The nutcracker assortment is in Kurt Adler's Hollywood Nutcracker collection. A perfect nutcracker assortment for anyone!